Welcome to Tiggy’s at crescent Art Studio, located steps away from the beach in beautiful Crescent Beach, South Surrey, BC. If you want to learn how to paint you’ve come to the right place! At Tiggy’s, our aim is to teach you the fundamentals of painting while creating beautiful works of art in a fun and supportive environment. We realize that being creative means having freedom, but sometimes that freedom needs a little guidance in order to flourish. 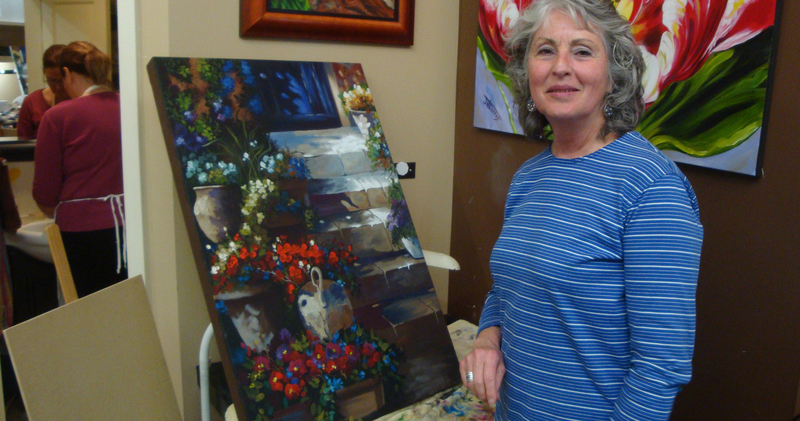 For twenty years, Jackie at Tiggy’s has set out to provide students with that guidance, allowing their full creative capacity to be understood and resulting in professional-level paintings that many students never believed possible. We take a different approach to teaching art. Instead of giving you full freedom to just “do what you feel”, we understand that only works if you have the theory and techniques that master artists require in order to be successfully creative. 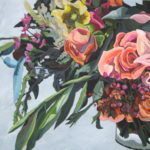 Our approach to painting involves giving you step-by-step instructions and demonstrations, so that while you are putting into practice useful techniques, you are also expressing your creativity through a guided outlet. You choose a class based on the piece you are interested in painting, and by the end of the class you will have a beautiful, professional work of art to take home. As a bonus you will have learned, by doing, useful skills that can be applied to future projects. If you’d like to learn more about our studio and our unique approach to painting classes, check out our About page. If you are new to Tiggy’s, the first step is to take our Beginner’s Programme. Our two-day Beginner’s Painting Programme is your introduction to the wonderful world of painting and to painting with acrylics on canvas. You will be introduced to surface preparation, brush care and control, colour mixing, and basic colour theory using the Traditions pigment colour wheel along with a variety of application techniques. Once you have completed the 2-day seminar you will have the groundwork necessary to register for most other classes offered at Tiggy’s (or paint on your own if you so desire!). The Beginner’s Supply Kit provides you with artist-grade non-toxic acrylic paints, acrylic-compatible high-quality brushes, a gessoed, framed gallery canvas, and all the essential supplies you need to start painting. 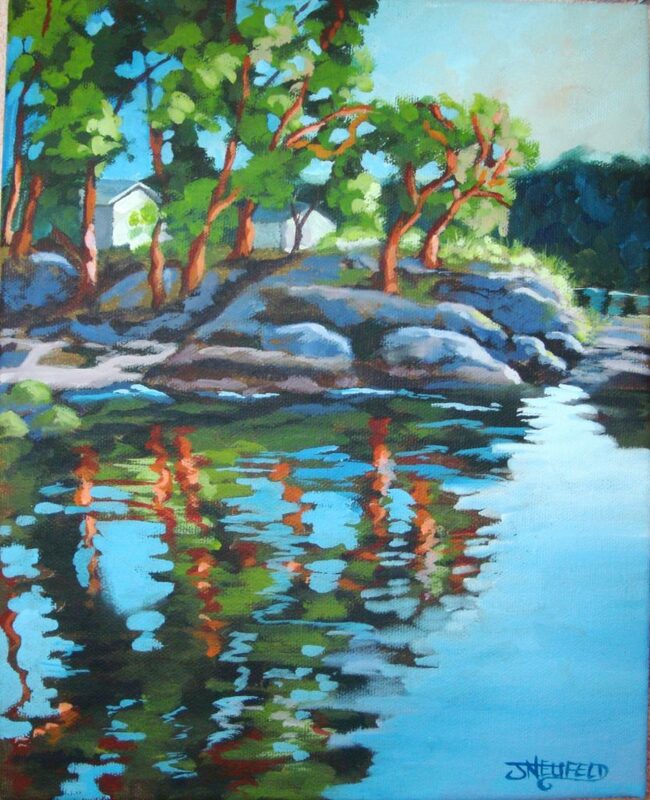 The Beginner’s two-day seminar is a pre-requisite for all other classes at Tiggy’s, is a great introduction to painting, and is an awesome refresher course if you haven’t painted in a while. Sign Up Now for our Next Beginner’s Class! You don’t need to know anything about art to take our Beginner’s course. In fact, you don’t even need to know how to draw! At Tiggy’s, our introductory Beginner’s Programme is geared towards brand-new painters and teaches learnable, concrete techniques. 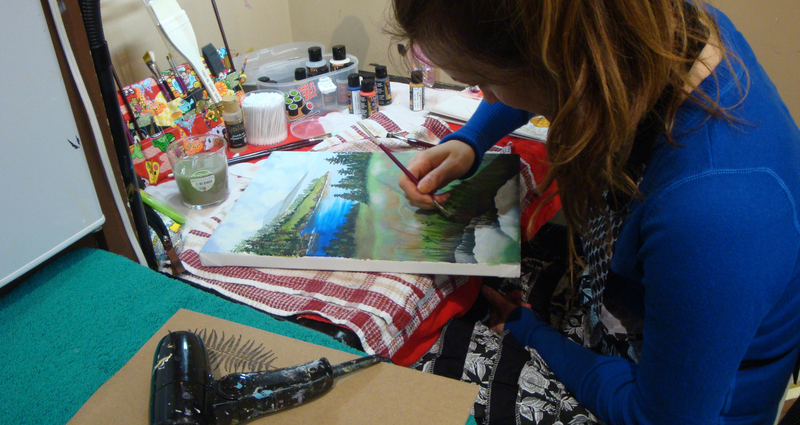 With a little practice and the excellent guidance from Jackie you’ll find that in the process of learning the theory behind painting, you’ll also be creating a professional-looking work of art. By the end of the two-day class you’ll have enough grounding in painting techniques that you’ll be able to take more advanced classes from us, or even paint on your own. Most importantly, you will walk away from the course with a beautiful piece of art! and other essential supplies needed to start painting successfully!